You won't need any costly barrel alterations or extra choke tubes. 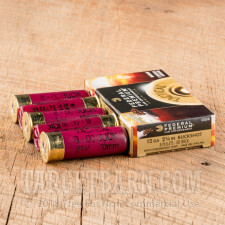 These 250 rounds of Federal Premium Law Enforcement 12 gauge buckshot convert even the simplest shotgun into a precision accuracy weapon. Proudly loaded in the United States, these 8-pellet shells deliver reliably, accurate and consistently dense shot patterns. 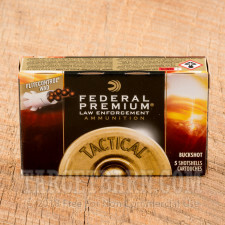 All products in Federal's Law Enforcement line of ammunition feature a patented FLITECONTROL wad. 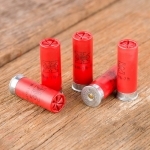 This state-of-the-art wad design keeps all 8 pellets contained for an extended period, slowly backing away from the shot string rather than dispensing it in a broad cloud as it exits the barrel. For these reasons, Federal loads with FLITECONTROL achieve some of the tightest shot patterns available to the modern shooter. 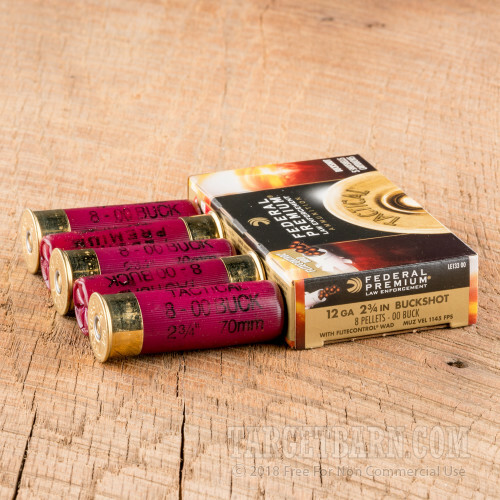 With copper-plated shot and integrated recoil reduction, these personal defense loads offer increased velocity and deeper penetration compared to standard shotgun loads. Federal Premium Law Enforcement is specifically designed to stop urgent threats while also minimizing danger to those in the vicinity. However, this product isn't just for law enforcement or self-defense. 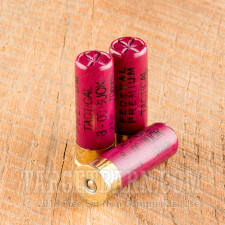 Big game hunters will also appreciate the reliability and stopping force of this full-power load.